﻿Many people imagine robots today as clunky, metal versions of humans, but scientists are forging new territory in the field of 'soft robotics'. One of the latest advances is a flexible, microscopic hand-like gripper. The development could help doctors perform remotely guided surgical procedures or perform biopsies. The materials also could someday deliver therapeutic drugs to hard-to-reach places. The report appears in the journal ACS Applied Materials & Interfaces. The researchers note that many robotic tools require cords to provide power to generate their movements. But cords add to the bulk of robots, which limits the spaces they can access. To address this constraint, scientists have turned to hydrogels. These soft materials can swell in response to changes in temperature, acidity or light, providing energy to carry out tasks without being tethered to a power source. 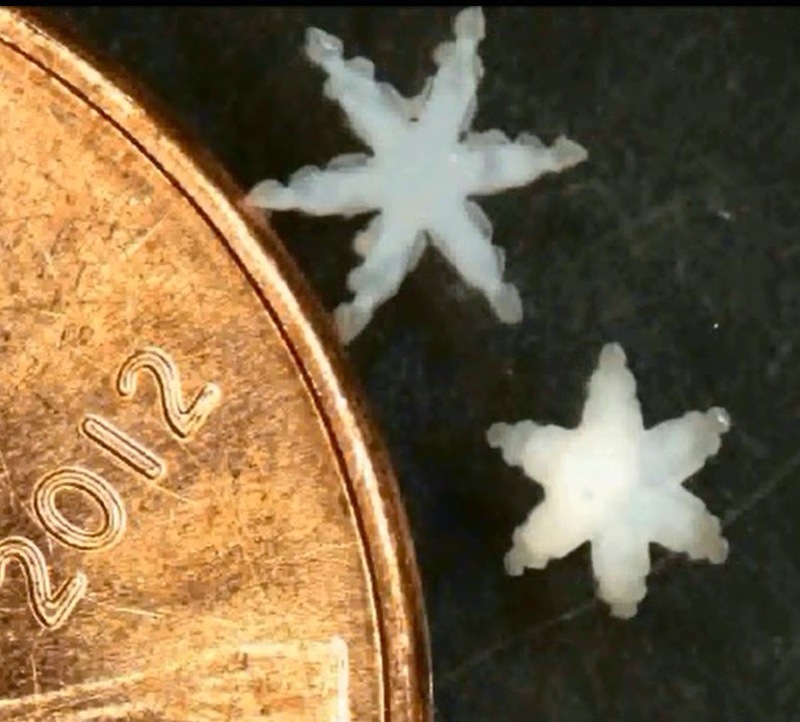 However, hydrogels are too floppy for some applications, so the group combined the hydrogels with a stiff biodegradable polymer, making the microhands strong enough to wrap around and remove cells. The team then sought a way to control where the grippers go once deployed in the body. The researchers incorporated magnetic nanoparticles in the materials so they could guide the microhands with a magnetic probe. The team concluded that this added trait could help in the microassembly or microengineering of soft or biological parts, or give surgeons the ability to remotely direct where biopsies are taken. Also, the researchers say that the use of soft materials highlights the possibility of creating biodegradable, miniaturized surgical tools that can safely dissolve in the body. Below is a video of the grippers.